Oriental Weavers is the largest machine woven rug manufacturer in the world. The company is one of the leading exporters of rugs worldwide, and the largest player in the Egyptian market. Oriental Weavers is engaged in the production of machine woven carpets and rugs for residential, commercial and hospitality industries. It is widely acknowledged as the market leader and trend setter in technology, design and coloration worldwide. 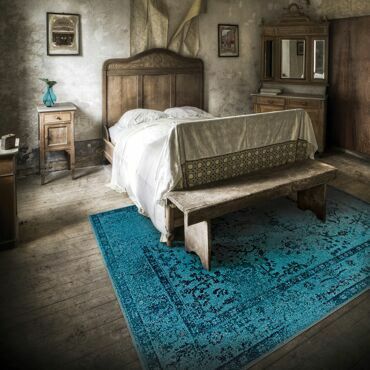 Established in 1980 as a joint stock company, Oriental Weavers is an integrated rug manufacturer, producing the majority of its raw materials through its subsidiaries. The company was established and managed by Mr. Mohammed Fared Khamis, a leading Egyptian entrepreneur and industrialist. Oriental Weavers is dedicated to establishing sound social and work relations on the basis of fairness and security. Employees receive high income linked to productivity, as well as free housing, transport and social and medical care. The company is located in 10th of Ramadan City, where most of its personnel reside. It's very active environment and well-developed infrastructure is conducive of progress. Fulfilment of the commitment and obligation towards all its associates is Oriental Weaver's principle. This has led to acquiring appreciation and respect from all our customers, suppliers and employees, as well as national and social organizations.